The Transformation Plant of the Industry 4.0 is the present challenge for the French industry. Today, the industry 4.0 must be considered as an integrated system, a new means of production, faster, more flexible and more connected. The polymer industry is typically facing these new challenges for the production of new materials with new functional and integrated properties in different domains of applications. Nowadays, although new technologies are emerging (3D printing) polymer processing is still based on conventional approaches in terms of modeling, simulation and scale-up for the production. So, can we imagine new original and realistic ways based on the recent developments on artificial intelligence (IA) techniques? Traditionally, when a material in its in-service conditions was considered, a constitutive equation was selected (among different possibilities) guided by the accumulated experience and/or the experimental observations, and then calibrated in order to identify all the parameters that it contains. This procedure faces two main difficulties: (i) In general establishing a constitutive equation needs time and the intuition and accumulated knowledge of experienced specialists; and (ii) Even when accurate constitutive equations could be derived by spending a sufficient material and intellectual effort, the recent explosion of material proposals requires a new procedure to describe material properties in its in-service conditions easier and faster. • Can simulation proceed directly from data by circumventing the necessity of establishing a constitutive model in the traditional sense? Obviously balance equations are kept, whereas the effort in establishing mathematical expressions of (too) complex constitutive equations is relaxed. • How data-based modeling can enrich the establishment of the models (viewed as mathematical objects) describing the behavior? It is important to note that the main advantage of models is their capability of predicting outside the domain that served for their establishment (the so-called extrapolation) where data-based modeling encounter difficulties to make the job. 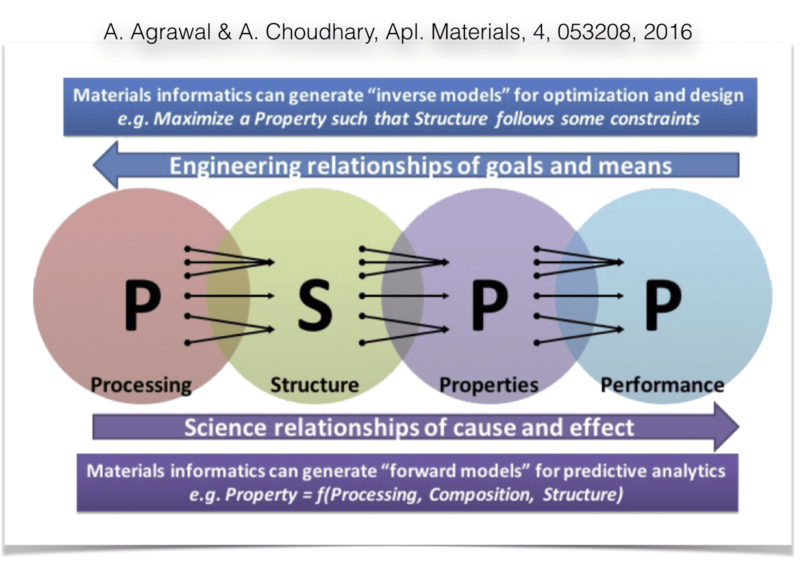 • How models can help data to be consistent with principles (convexity of potentials, …), filtering measurements noise, determine the quantities to be measured (electrical conductivity, shear and elongational viscosities, tensile-strength properties, ….) or announcing the necessity of using internal variables ..?